I had an absolute disaster baking this week, my mokatines looked like something out of a Carry On movie. I am far too ashamed to even blog about them. 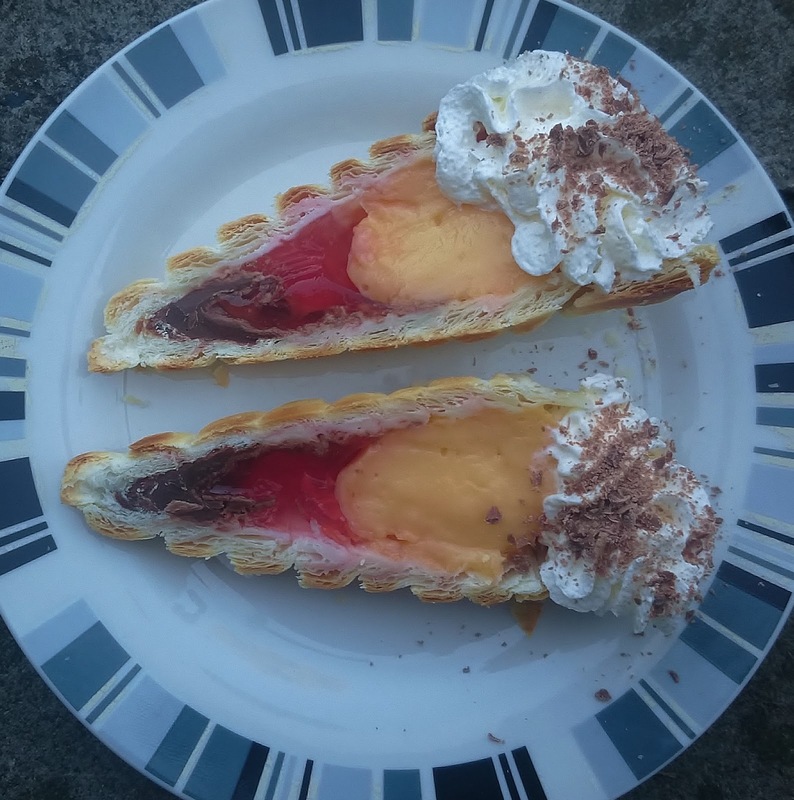 So moving on quickly I decided to make something that my family particularly love but with a twist, instead of just using a custard filling I thought the cream horns would be nice like a mini trifle and surprisingly enough they didn't turn out too bad, plus they tasted great. 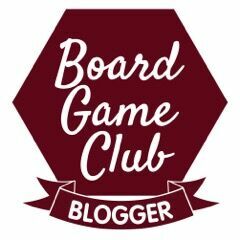 Once again a big thank you to Mummy Mishaps for organising the #GBBOBloggers2015 and this week Naomi will be hosting. To start I made up the quick gel as on the packet, mixing with 1/2 pint of boiling water and then 1/2 pint of cold water and leaving it in the fridge until it started to show signs of setting. Make 1 pint of custard by mixing the custard powder with the sugar and mixing to a paste with a little of the milk, bring the rest of the milk to simmering in a pan and then add the custard mixture, stir until it thickens. At this point I placed some greaseproof paper on the top of the custard to stop a skin forming and left it to cool. Unwrap the pastry and roll out until it is about 2mm-3mm in depth and cut in to 2cm strips. Wrap tin foil around some ice cream cones and then carefully wrap your pastry strips around the cones. Bake at 180 degrees for about 20 minutes until they are firm and puffed. Once these have cooled, carefully remove the ice cream cones from the centre. To fill the cones I stood them up in a mug and drizzled a little melted chocolate into each cone, hopefully to stop any spills once the jelly is added. I then left this to set. Half fill the cones with the semi set jelly. Fill nearly to the top with custard. Add a good dollop of squirty cream and sprinkle with grated chocolate. I intend to me far more organised next week instead of leaving it until the last minute and lets face it, it really can't get much worse than this week. I am looking forward to seeing everyone's fab creations. Ooohhh, these look good. What a unique idea to make it like a trifle inside. These look delicious, glad they turned out well! Oh wow Cathy, love the idea of the trifle filling!! I can imagine they'd go down very well at family fatherings, they certainly would with our family! Cracking image of the cut through cross section! Wow! Those look amazing, especially when they're cut open. I'm in awe! 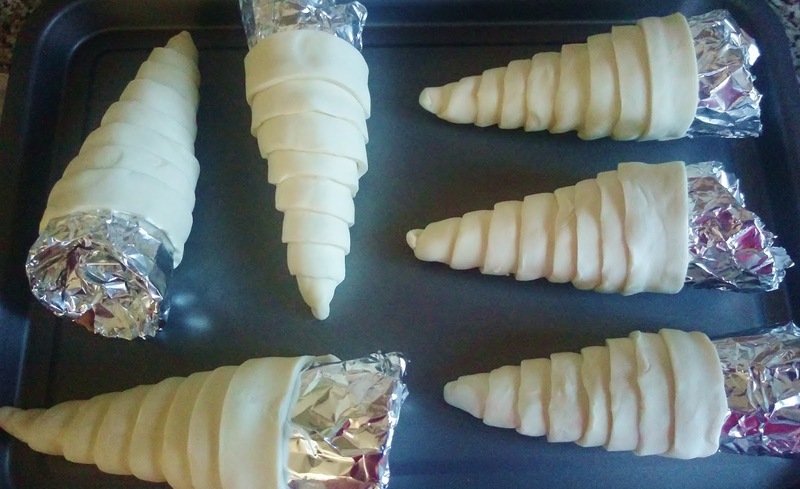 What wonderful pastry curls you've made, it looks awesome! Love the idea of the trifle style fillings too. 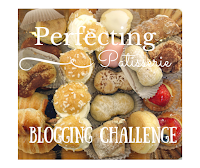 And thank you for joining in with Perfecting Patisserie! That is ridiculously impressive! I watch the GBBO and never even consider making what they create because I just don't have that kind of talent but I love the trifle idea! These look fantastic, I love the ice cream cone trick. What a brilliant idea to make them into a portable trifle! These look heavenly love the clever ice cream cone trick! I really want one now but sadly I think my skills are nothing in comparison to yours! Great idea M I love this, I'll have to make these with the kids. Thanks for sharing. I like how you cut them in half to see the layers of the filling, very clever. They look so yummy. Oh wow, I hadn't thought of trifle filling! & they look do-able, even for someone with such questionable cookery skills as me! Going to try them this weekend! Oh my word. These look amazing! I wish I had some kind of cooking/baking skill! 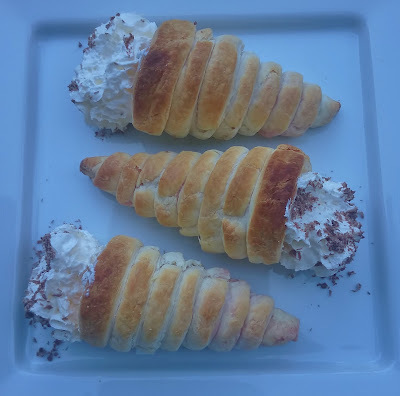 Cream horns, can't say that I've tried this sort of dessert before but it looks amazing! oh.my.god! i think i want to move in with you!! i love custard and these look amazing (I really don't like cream horns because of all the cream). You make these look so easy! Love the idea of trifle with a twist! Oh these look super yummy, definitely considering making them myself! Yum! Those cream horns look worthy of a star baker. I love that you have used ready puff pastry, so much easier than the hassle of making it! You made me soo hungry! These looks like something I could make! Thanks for sharing!